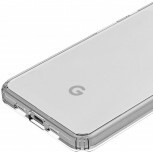 Last week, we saw the Google Pixel 3a and Pixel 3a XL appear on Google Play Console with a few of their specifications. 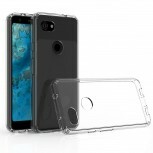 Today, we are looking at the case renders of these smartphones which show us what these mid-range Pixels will look like. 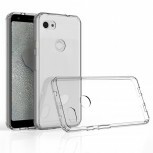 If these images are to be believed, the Pixel 3a and 3a XL will share the same design. 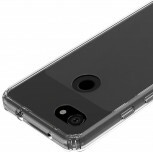 They will come with large bezels, have a single camera on the front and back, a headphone jack (yay!) 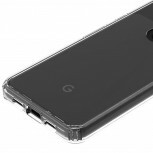 at the top, plus a USB-C port at the bottom. 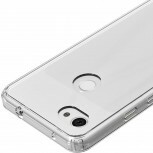 These smartphones will have the volume rocker and power button on their right, with the back being home to a fingerprint scanner and a Google logo at the bottom. 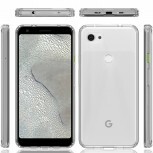 According to previously leaked information, both the Pixel 3a and 3a XL will come with 4GB RAM, but the former will sport a 5.6-inch 2220 x 1080 pixel display whereas the latter will boast a 6-inch 2160 x 1080 pixel panel. These mid-rangers will also likely differ in other departments like battery capacity. 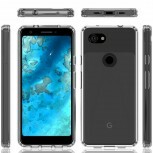 Both smartphones are expected to go official next month at Google's I/O 2019 conference that kicks off from May 7.